The Port Byron Library Book Club meets on the first Saturday of each month at 12:45PM. 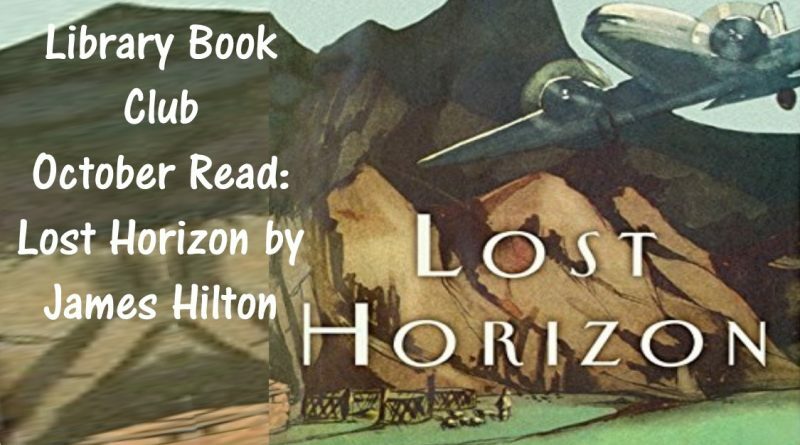 Originally published in 1933, Lost Horizon gained unrivaled popularity from coast to coast, particularly after Frank Capra’s spellbinding 1937 film introduced audiences nationwide to its stunning tale of revolution, utopia, emotion, and adventure set in a hidden mountaintop escape known only as Shangri-La. When an uprising in Baskul forces a small group of English and American residents to flee, their plane crash-lands in the far western reaches of the Tibetan Himalayas. There, the bewildered party finds themselves stranded outside the protective borders of the British Empire, and discovers access to a place beyond the bounds of the imagination—a legendary paradise, the mystic monastery Shangri-La. New P.S. Edition featuring an essay by Kenneth C. Davis, author of Don’t Know Much About® History and Two-Bit Culture: The Paperbacking of America. James Hilton was the author of more than twenty novels, including the bestselling Good-bye, Mr. Chips. He was also a screenwriter, with credits including such classic films as Mrs. Miniver, which won an Academy Award for Best Screenplay in 1942, and Alfred Hitchcock’s Foreign Correspondent. Born in England in the year 1900, Hilton emigrated to the United States in the late 1930s. He died in 1954.